The first viols appear in the late 15th century and it took just about two generations to establish itself as a formidable instrument and to built up a very special repertoire. Big un-texted collections of music have been compiled with famous pieces by Isaac, Josquin, Brumel, and Ockeghem. Most famous maybe Manuscript Q18 from Bologna. Also the Venetian publishes, first of all Petrucci, were printing instrumental Music that fit perfectly on the viol. 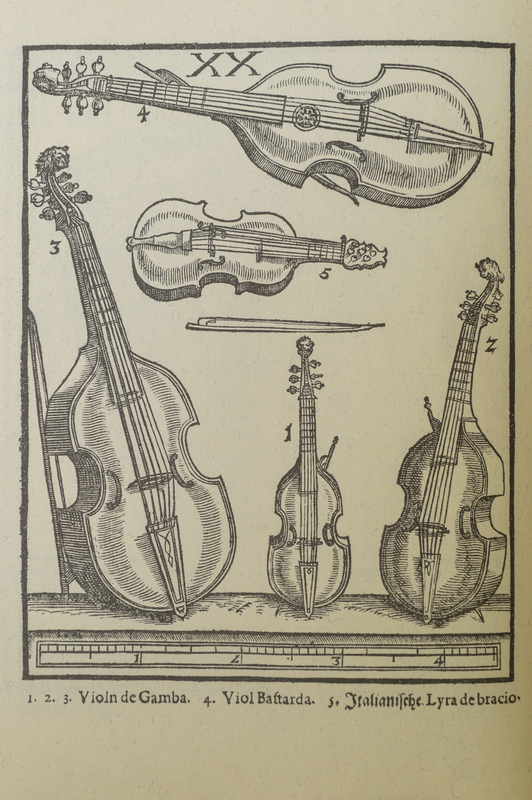 When Silvestro Ganassi published his 'Regolo Rubertina' in 1542/43, he offers a method book to (wealthy amateur) musicians, which takes them from were they stand (as accomplished lute players and readers of tabulature) and introduces them to the fine points of playing on the different viol sizes. In 1553 Diego Ortitz publishes his famous treatise in Italian and Spanish and gives us a very good idea what to expect from a skilled performer, improvising on a tune and embellishing various voices in a polyphonic setting. 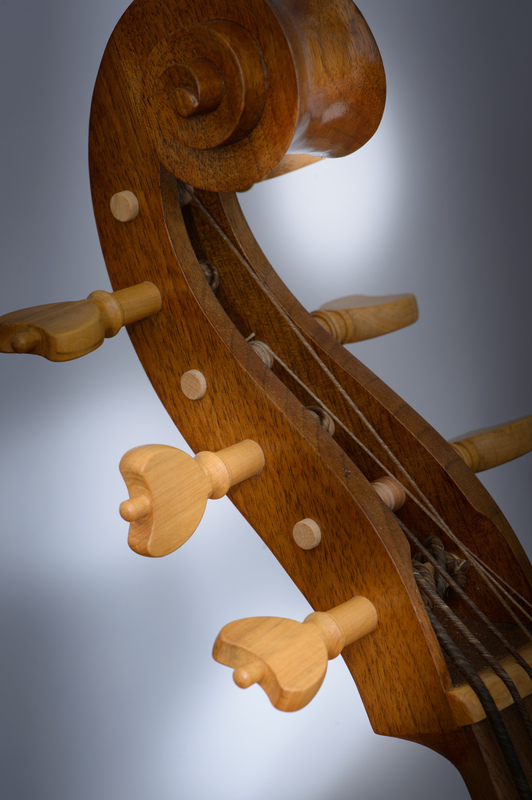 There have been many interesting experiments with the reconstruction of 15th and 16th century viols from iconography, since the number of originals is very small, but until a few years these all left much to be desired. Mostly in the last ten years, through the efforts of a younger generation of string makers like Nicholas Baldock, Valentin Oelmüller and Serge Cladères, the sounds we hear today from Renaissance viols are getting more convincing. The latest publication on the subject is Stefano Pio's study on 'Viol and Lute Makers of Venice 1490-1630', full of exelent reproductions of early paintings and details photographs of intruments from the important collections. The book is published by Venice Research ISBN 978-88-97039-61-7. The viol was chosen for me by friends more or less, because the instrument I really wanted to play was the Lirone. Gail Schroeder lent me hers for several month but said that I need to learn the viol in order to built up a strong right hand and bow properly. Then I met my old friends Hille Perl and Lee Santana. Hille had just seen a guy on a train who wanted to sell his mothers old viol and made the connection. I bought it and here it all started. From then on I went to study with Gail. She had been Wieland Kuijken's assistant in Brussels for decades and is a perfect teacher for viol technique. Thank you Gail - for giving me such a great start!